And next up are standard, general-purpose products. 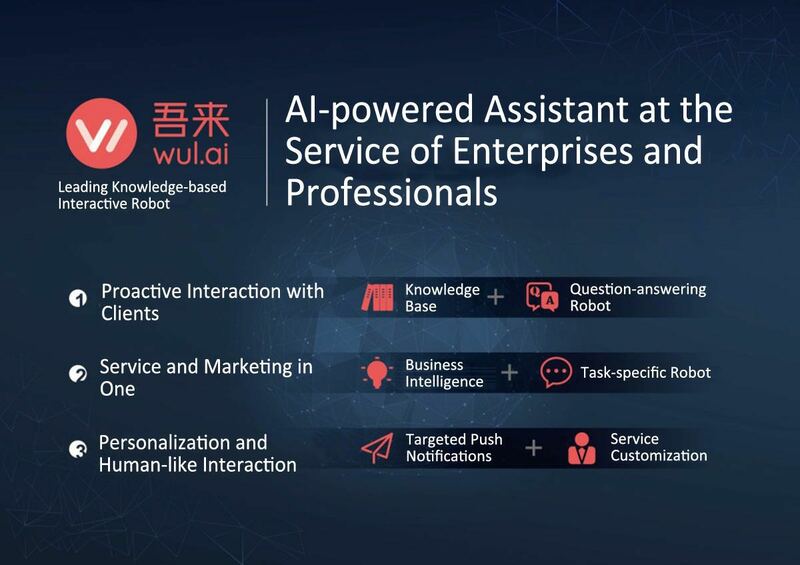 Earlier this year, the AI-powered butler service provider Laiye (来也) rolled out an enterprise-targeted AI assistant named Wul.ai (吾来). Aimed at helping enterprises improve service efficiency and conversion rates, the product leverages AI technology to assist corporate clients in a wide range of areas including customer communication, knowledge collection, user base management and more. The company has recently landed $10 million in a series B round led by Wu Capital and joined by Lightspeed China Partners and Sequoia Capital. Apart from R&D and recruitment, the financing will be used mainly for the promotion of Wul.ai. Laiye was founded in 2015, the year when much buzz was generated around Magic, an SMS-based on-demand personal assistant service. The company started by offering AI-enabled butler services to individual users through its flagship product Xiaolai and, at the end of last year, managed to nab tens of millions of yuan in a series A round from Microsoft Accelerator Beijing (lead), Lightspeed China Partners and Sequoia Capital. Wul.ai already has a presence in sectors including telecommunications, retail, tourism, education, finance, etc., touting clients like China Mobile, Wyeth, Ctrip, New Oriental and SPD Bank Credit Card. At first glance, Wul.ai seems to share some similarities with intelligent customer service, but according to Laiye, customer service is just one of the many functions Wul.ai supports. In a traditional customer service scenario, interaction is triggered by requests from customers, but Wul.ai supports proactive interaction with customers. Wul.ai can intervene in multiple stages of a customer lifecycle, including before, during and after transactions and uses AI technology to assist enterprises in user acquisition, activation, retention, and monetization, as well as product and service recommendation. In other words, Wul.ai integrates customer services and marketing operations into one. Wul.ai places particular emphasis on personalization and user-friendliness in interaction with customers, making it easier for enterprises to build trust with customers and establish long-lasting customer relationships. Since technologies remain immature at this stage, human intervention is still necessary when it comes to sophisticated applications, but machines will no doubt play an increasingly greater role in Laiye’s services, which will allow it to maximize the economic benefits of its products and consequently attract more corporate clients. Knowledge extraction: extracting machine-readable knowledge from unstructured speech data. Task completion: making sense of users’ commands and completing tasks as required. Question answering: using deep learning technology to understand users’ questions and coming up with answers based on pre-stored domain-specific knowledge. Business intelligence and user persona creation: using semantic analysis techniques to extract information useful for enterprises and users from natural, unstructured interaction data. Laiye sees Wul.ai as a perfect solution for industries that need to frequently interact with users online and whose operations require sophisticated knowledge, such as mother and baby care, tourism and education. Laiye is aggressively promoting Wul.ai in these areas, offering to help enterprises improve their service efficiency and conversion rates. Take its cooperation with a mother and baby product supplier for example. Laiye provided the company with an intelligent assistant capable of interacting with and managing consumers through WeChat and other online platforms. Integrated with data from the client’s CRM system, the assistant is helping hundreds of consultants provide personalized and professional online services to customers in a more efficient manner. However, it should be pointed out that Wul.ai’s technical modules are similar to those of many intelligent customer service solutions, which points to possible competition. According to Laiye, it has two competitive edges. First, its team boasts strong technical capacity and rich technical experience. Both CEO Wang Guanchun and CTO Hu Yichuan studied machine learning in the U.S. and hold a PhD in the field. The two co-founded Jinwan Kansha (今晚看啥), a film recommendation service that was later acquired by Baidu. Plus, Laiye’s current technical team is made up mostly of the highly experienced engineers from Baidu’s NLP, search and recommendation units. Second, through Xiaolai, the company has gained experience in operating assistant products. As of now, Xiaolai’s active users have amounted to 4 million, a testament to its stability, reliability, and effectiveness. 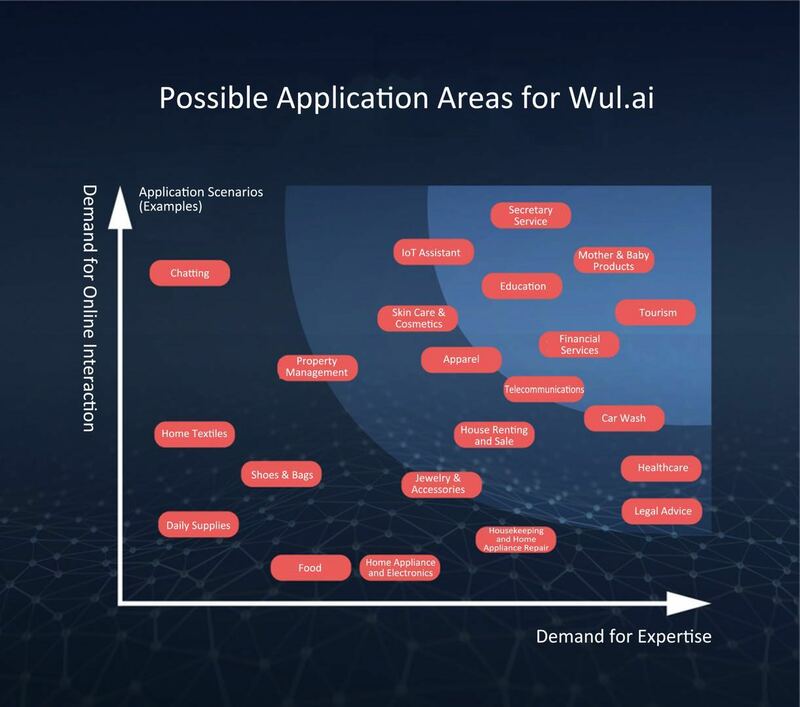 At this stage, Wul.ai’s target market is mainly industry-leading enterprises. Laiye offers customization services, but from a business point of view, the two key challenges it must address are how to win over more big clients and develop a standard solution to reduce the deployment cost. Luo Chao, who previously oversaw Tencent’s investment activities, has recently joined Laiye as CSO, and is put in charge of the company’s enterprise-targeted marketing activities, with particular focus on leading companies in key industries. Laiye hopes that serving large companies can help it build trust with potential clients and eventually lead to the development of a standard product that can serve enterprises and individual users at large. Thanks to advances in AI these days, using technology to improve operating efficiency and conversion rates has become a general trend among companies, and Wul.ai is expected to fuel that trend. China’s customer service market is worth over 100 billion yuan. 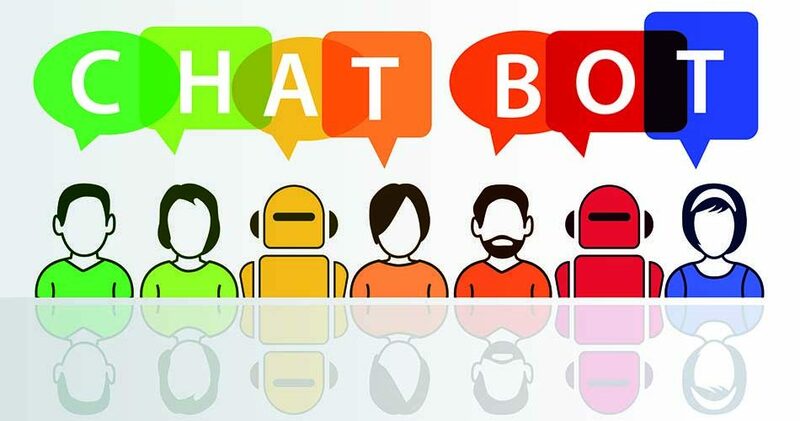 The application of deep learning technology and improvement in robots’ ability to, among others, answer questions and engage in multi-round conversations have been driving the transformation of many industries. 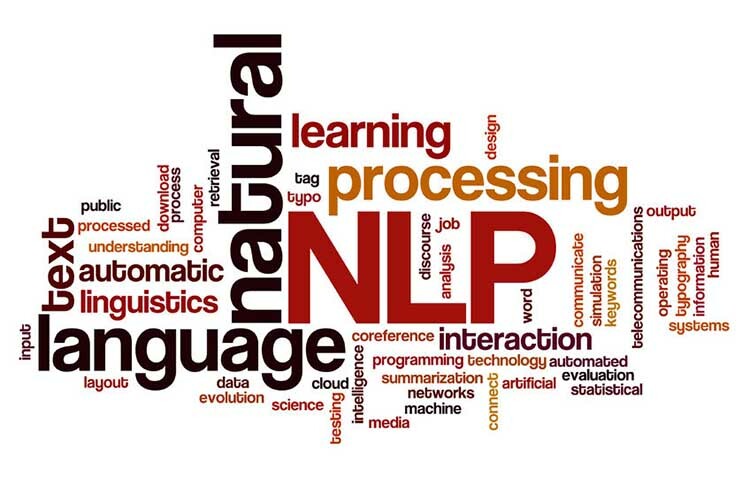 Against this background, NLP-focused startups are increasingly targeting specific industry segments, with some starting to commercialize their products and even generate returns. That being said, it’s worth noting that while speech and image recognition have seen major improvements in accuracy, there has yet to be a major breakthrough in NLP. That’s why investors have favored startups with technological advantages when investing in the field of NLP.